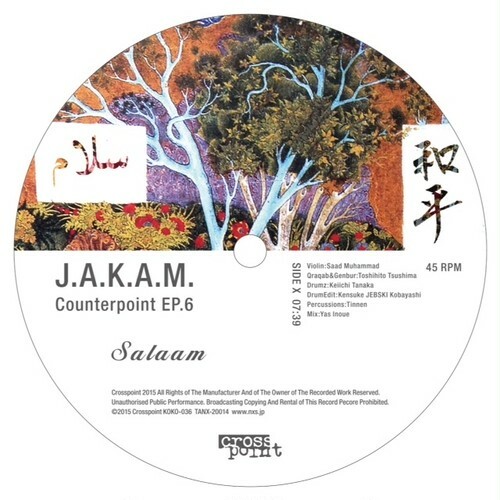 A yearning for eternal peace, Salaam starts off with a tinge of spiritual jazz mixed with deep house beats & vibes. 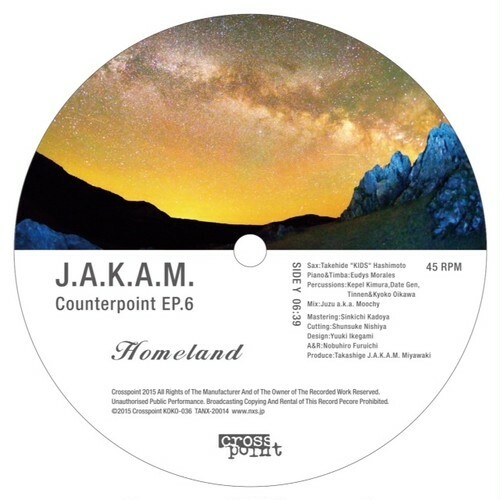 It features the exquisite, Arabic violin playing of master Saad Muhammad Hassan and chunky beats by Keiichi Tanaka. Like an Arabic dancer strutting in the midst, under the moonlite sky, Gwana musician, Toshihito Tsushima plays the Qraqab and Genburi, entranced by the mystic moods of this track. The beat is electronic and urban but it is taken in by the Arabic cry. As if in search for a true, spiritual homeland via Bourbon St., with a wailing sax played by Takahide "KIDS" Hashimoto, a traditional percussion ensemble and for extra measure, a four-to-the-floor beat leading the way, this track goes into deep 1970s Afro-Jazz hinterlands. Both Salaam and Homeland although different, shares and fuses immaculately both traditional and contemporary elements showcasing the main theme of Counterpoint.